On 1st December 2016, Luxury Brand NUO, managed under Key International Hotels Management Co., Ltd., will add a second hotel to its portfolio. 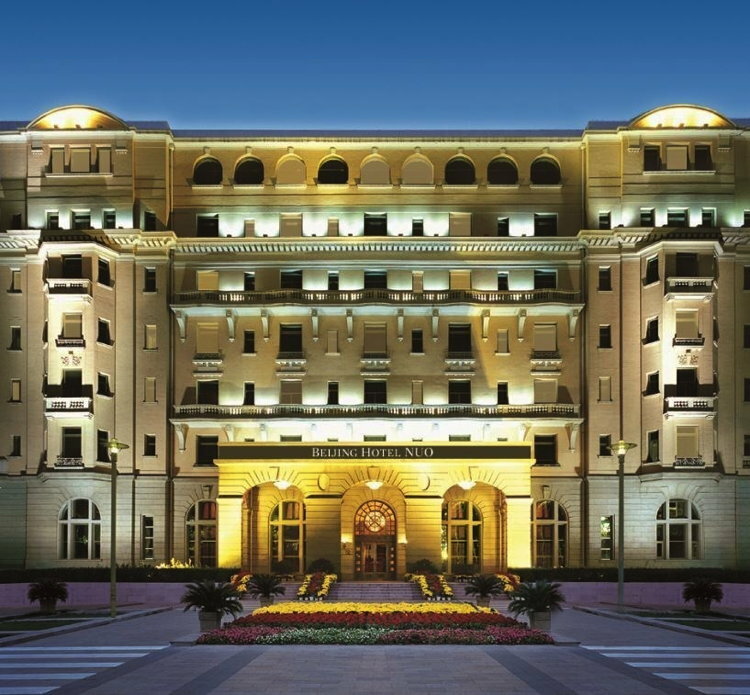 Raffles Beijing Hotel will be renamed Beijing Hotel NUO. The landmark hotel which was opened in 1917 is one of the oldest Luxury hotels in China and has witnessed many historic events over the last 100 years. NUO represents the golden promise that the brand is committed to, stepping from the mainland onto the world stage when it announced its global expansion strategy at the Temple of Heaven in Beijing. In pioneering Chinese luxury hospitality as one of the country's first homegrown five-star hotel brands, NUO Hotels interprets its "golden promise" by drawing inspiration from the country's 5,000 years of history and cultural heritage and its commitment to serving as a custodian of traditional Chinese culture. Developed in conjunction with Kempinski Hotels and Beijing Tourism Group (BTG), NUO aims to disseminate the novel lifestyle and attitudes of modern China while honouring its cultural heritage and supporting contemporary art and culture. NUO Hotels is based on four pillars: Chinese, luxury, contemporary and green. The service attitude follows BTG's Chairman Duan's innovative vision of Chinese hospitality, which is based on international standards, local flavours and adding value, a pioneering concept within China. These four pillars and service style represent NUO's core philosophy, ensuring that guests enjoy an unprecedented hotel experience. NUO's brand identity is symbolised by a Chinese vase, representing hospitality, prosperity and commitment to a bright future. Each NUO hotel also has a varying cultural style and design inspirations, making each hotel unique. These inspirations are based on designs originating from a set of seven Chinese dynasty traditional paper-cutting and woodworking techniques. Just like the creation of the core pattern of the vase depicted in the NUO logo, these designs enrich the visual appeal and expression of the brand. Key International Hotels Management Co., Ltd has been appointed to manage one of the oldest buildings in the capital. The former Raffles Beijing Hotel (Building B and Building E of Beijing Hotel) in the heart of the city will be rebranded as Beijing Hotel NUO, which is located at the southern end of Wangfujing Street, at the corner of East Chang'an Avenue with views of the Forbidden City and part of Tiananmen Square. The hotel will feature 171 rooms and suites with various function room spaces that are ideal for weddings, social events and meetings. It is also well known for the afternoon tea at its Legendary Lobby Bar and the classic dishes at the boutique French Restaurant. The hotel has a rich history and was considered one of the finest hotels in the Orient in 1917 which featured a tea hall and had its own orchestra "dancing every night" and classic music during a fine French dinner. Originally built in 1900, Beijing Hotel has gone through several expansions from the period of imperial Qing dynasty till the new Chinaperiod. The centre building of Beijing Hotel (Building B) that was built in 1917 features the grand colonnade facade is one of the representations of Beijing's history and culture. In the past century, with its unique architectural style and historic events, Beijing Hotel has housed the royal nobles, national politicians, diplomats, distinguished guests, movie stars and travellers from over the world. In addition to Beijing, NUO Hotels has development plans in other first tier cities in China such as Shanghai, Guangzhou and Shenzhenand the rest of the world such as New York, Paris, London, Rome and Dubai. Each NUO hotel has a varying cultural style and design inspirations, being a showcase of a unique aspect of traditional Chinese culture or the history of the property's location. If you are a member of NUO you may be interested in learning how to optimize your content on our network.